Do you use data sources that we haven’t yet integrated into DashThis, or any other types of custom data, and you would like to add them to your dashboards? CSV files are the way to go! A CSV file is basically a spreadsheet that was exported in a Comma Separated Values format. It means the file consists only of rows and columns: plain data without any formatting. This format is typical of almost all tools that allow data exportation. You can either export such a file from a tool or platform you’re using or create it from scratch in a spreadsheet editor and then export it in a CSV format. If you export a CSV file from a tool or a platform, you can easily modify it. Open it in a spreadsheet editor, change what you need, and export it once again in a CSV file format. There you go! – Dimensions are read in rows. 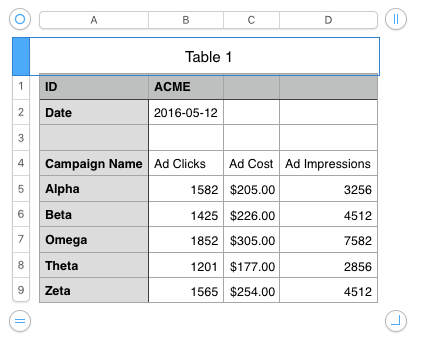 You want to use a CSV file as a data source in your dashboards? Follow these 6 steps! This entry was posted in CSV files and tagged csv.